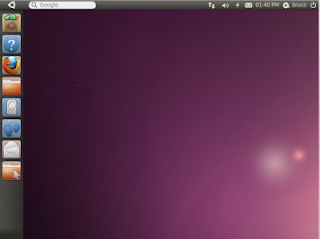 Over the weekend, I made the painful mistake of upgrading to Natty Narwhal 11.04, the newest release of Ubuntu Linux. I was previously running 10.04 and realized I was stuck with Qt 4.6 and I desperately needed a feature in 4.7. After starting the upgrade process, I realized I actually had missed the last upgrade 10.10, which was required before upgrading to 11.04. I installed that and realized it contained Qt 4.7. I could have stopped there and be content, but I didn't. I love Ubuntu for various reasons but mostly for its usability. I can do okay on other distributions, but as my life gets busier and busier, I need my operating system to "just work". Sometimes I'm tempted to upgrade my distribution instantly when a new one comes out, but I usually regret it getting bit by stupid bugs and such. Jumping to Natty Narwhal 11.04 was no different. I had read several negative reviews on Natty Narwhal and wanted desperately to believe they were wrong, but I sadly had to change back to the classic interface. And it only took me a few days. Here are a few of the hurdles I hit--all of which having to do with Ubuntu's new Unity system. Restarting my machine, I couldn't log into X. I found that my nvidia driver module wasn't being built for the upgraded kernel. Somehow installing a package and skipping a seemingly-required module is totally okay. To me, though, it continually hung on the Ubunutu "five-dot" splash screen. I had to actually go get the linux-headers package for my kernel and then reinstall the nvidia-current package, which rebuilt the module correctly. Couldn't the former be a dependency of the latter? This is a minor complaint that I can get used to, but Unity uses the "Universal Menubar" style ala Mac OS X, where the focused application has it's menubar at the top of the screen. This isn't necessarily bad, but it hides all the menus until you mouse over the bar. Why? To me Unity was like Knight and Day with Tom Cruise. I sat down to watch it and I really, really wanted to like it despite all the negative reviews. But it just didn't work. Like this mediocre movie, it wasn't a horrible premise (besides a cliche hacker and a mystical power source the size of a AA battery), but it just wasn't executed correctly. I believe most of these issues are fixable, but I'm afraid this new desktop has left a bad taste in a lot of people's mouths. I've been trying to upgrade to the newest version because I want to give it a fair chance. Yesterday someone on reddit posted a list of key commands that I thought was very useful. I was excited to see that you can open a new terminal with control+alt+t. That's probably the ideal way of opening one and if you've always been able to do that I've missed out on a lot of efficiency. Let's hope the OS continues to improve. *.04 releases always seem to be kind of a let down. Cannot agree enough. Taskbar is very buggy and general accessibility is completely gone. I'm using "Classic Interface" upon login. It's a real bummer, screenshots showed such potential. Hey Jonathan, you could use Ctrl-alt-T to open a new terminal in previous versions of ubuntu as well. At least I am able to with with Ubuntu 10.10. Its a great shortcut that I use everyday!